FLOWS aim was to provide a tool box of techniques that planners, water managers and decision makers can use for decision support systems in areas facing increased flood risk from climate change. There is a need to protect existing flood prone areas, while managing flood plains to ensure a balance between social, economic and environmental considerations. Therefore the project’s requirement was to offer good practise examples for sustainable development and demonstrated practical low cost measures; including infrastructure for reducing flood damage to property and land, the results were widely disseminated. The FLOWS project has demonstrated major improvements on the sustainable development in fluvial areas at risk of flooding. The main outcome was a tool box to meet the aim of improved sustainability of development in flood risk areas. Therefore improvements in integrating flood risk area’s information into a decision support system for spatial planning and water management were developed. Spatial planning in particular is expected to play a crucial role in defining a response. Within the FLOWS project this was backed by a better social understanding of risks and responsibilities. Furthermore a main achievement was the investigation and development of best practice for living with flood risk in a changing climate. The reduction of flood risk assists inhabitants of areas at risk and supports economic stability. Measures in this field of activity are mostly long-term orientated and have little visible impact on living conditions in the short term. FLOWS has clearly demonstrated how improvements can be made immediately for residents living in flood risk areas with its approach of Flood Proofing Retrofits to existing properties. In Norforlk, UK for instance, the activity has aimed to demonstrate that flood proofing can be achieved at reasonable costs, a residential property was retrofitted with flood proofing measures. This included raising the position of kitchen sockets, telephone and TV points above possible water levels as well as the installation of an alarm system which will provide a telephoned warning to all householders as soon as water levels begin to rise in nearby drainage channels. 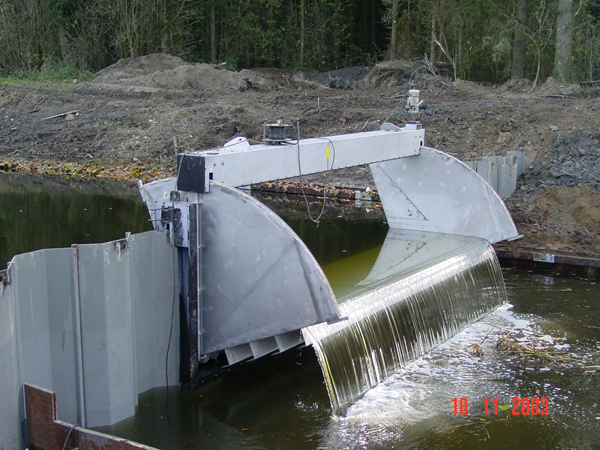 These measures enable inhabitants to react at an early stage, protect the property from floodwater and minimise damage if flooding does occur. An important lesson of the project was that social context, the hydrological context and spatial planning need to be seen as combined elements in finding solutions for flood problems. The project has shown in various individual projects that integration of those disciplines is possible. This has been important for all partners. Projects carried out under Work Package “Mapping and Modelling Flood Risk” consisted of a variety of relevant information such as eco-damage, spatial elevation, rainfall runoff, etc. and can be used in catchments area everywhere. Making the information from these projects available through the web-based Interactive Learning Package facilitated transferability as well as personal contact between project participants and their supplementary contacts. Moreover the examples of using information and symbols to illustrate flood risk, which were produced in a pilot project, could clearly be reproduced elsewhere. The Interactive Learning Package produced by the FLOWS project has been developed as a unique and useful learning tool for professionals and interested members of the public. The software concept included web-based data management, data processing, web-based modelling and web-based information dissemination. 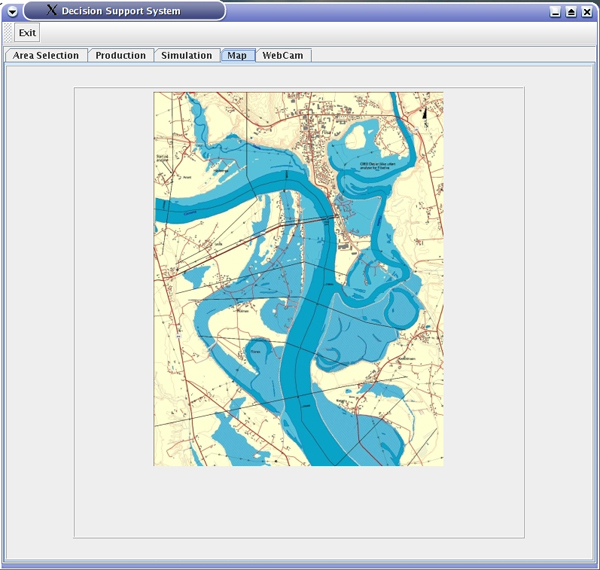 For the first time an Open Source Product in flood risk management is available which is based on Open Geospatial Consortium standards and integrates rainfall runoff modelling, water profile modelling and risk modelling in one system. A unique and innovative feature of visual GIS application was carried out in a Knowledge Map. In this matter the knowledge objects in the database were allocated to a geographic location. Results of Flows have clearly influenced flood management on the national level in all participating countries. They will be used for planning activities and for making future decision making on how to improve sustainability of development in fluvial areas at risk of flooding. Some of the project results will also be used to change or influence any legislation, shape future policies or planning guidance. For instance, in the Netherlands dissemination of the results will be a part of the Hanse passage network. Within the UK, spatial planners work to a government policy – Planning Policy Guidance for Development and Flood Risk. This policy was reviewed and the results of FLOWS helped to shape the new policy. FLOWS work also influenced the EU Flood Directive.